Uganda – 3 days: Experience the true wonder of a Gorilla Adventure Safari in Uganda where you will walk through the magical forests and, if you are lucky, spend some time with these magnificent gorillas. 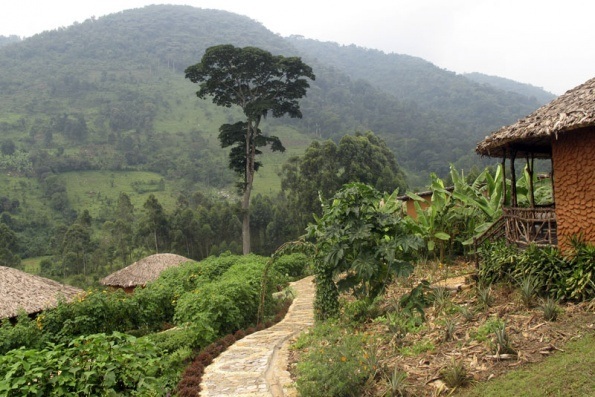 Bwindi Impenetrable Forest National Park – hosts half of the world’s population of mountain gorillas. 1. Price is valid until 31 December 2017. If travelling after this date please contact us for revised prices. Make your way to Entebbe Airport early in the morning to check in on time at 07:30 am for the Aerolink flight to Bwindi departing at 08:30 am. The flight arrives at the Kihihi Airstrip at 10:35 am where you will be picked up and travel to Bwindi Impenetrable Forest. Enter the forest at dawn and enjoy the beauty and freshness of the jungle, home to more than half off the world’s mountain gorillas. After a short briefing by the guides, proceed through the dense bush for the trek to view these magnificent, endangered animals. Leave the Bwindi Forest for the hour long drive to Kihihi Airstrip to take the flight back to Entebbe which will depart at 10:55 am and arrive at 11:55 am. Spending money: Clients are advised to bring enough money to cover the purchase of curios, tips for the guide and additional entertainment. US Dollars and Ugandan Shilling are the most practical and convenient currencies. Insurance: It is compulsory for all travellers to have insurance covering their personal requirements, medical expenses and personal possessions. This is to be arranged before leaving your home country. Our ground operator in Uganda has comprehensive public liability insurance.